A couple of days ago, I wrote a beginners guide to ranking in Google. While I did touch on link building, I didn't cover it in depth…like it deserves. The reason for this is that as a beginner, I honestly don't think your focus should be on links. Your focus should be on writing great content, proper keyword research, and building relationships with bloggers or other business owners in your community. These actions in turn will lead to natural links. Links can lead to more authority and better rankings in Google. However, all of that can sound very vague. Go build relationships. How do you do that? Focus on content that is sharable. How do you do that? Find “whitehat” link building opportunities. How do you do that? In the past, I have written extensively on link building, including here, here, and here. However, none of these posts really cover everything…there's just so much! My primary strength is keyword research and competition analysis. I can find keywords that are easy to rank for without requiring too many links. This has always been my focus. So, in reality there are better experts to building links than I. So, when a reader messaged me on Twitter a few weeks ago saying they had found someone who really knew his link building stuff, I had to take a look. 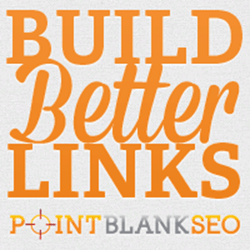 What I found was Point Blank SEO's Linkbuilding Course, and I was pleasantly surprised! Jon Cooper, the creator of the course, focuses on “white hat” link building techniques that are sure to stand the test of time with Google updates. The links he teaches how to build are REAL links – rather than automated spam (that won't “stick”). He definitely touches on relationship building, and goes into great detail. But I wanted to share a specific example that has worked for me in the past. When I first got started blogging, Pat Flynn was also just starting his Niche Site Duel. I followed along like many others. When Pat built his site and started monetizing with Google Adsense, I noticed some things that he could be doing better with his ad placement. You see at the time, I was doing pretty well with Google Adsense (I was just about to quit my job). So, I shot an email to Pat and simply suggested some ad placements that were sure to increase he overall earnings. Not only did Pat respond positively, but he made the changes to his Niche site that very day (if I recall correctly)! We actually exchanged a few emails at that time and starting building a relationship. At no point did I ever ask for a link, mention links, or ask for anything in return – I was just happy to start building a relationship with a blogger that I respected. Well, turns out the suggestions I made resulted in a nice uptick in his earnings (it increased his earnings by 139%)! As a result, Pat wrote about my suggestions here on his next income report and linked to my new blog! Pretty cool, huh? The link and traffic was cool, but even better is the ongoing relationship I've formed. Pat and I have interacted quite a bit, including the interview I did with him a few months ago. Pat has linked to my site several times since then. In addition, who knows how many other links I've gathered because of these mentions. I've formed lots of other relationships with bloggers and others that have lead to links as well. You will notice the Table of Contents on the right hand column. He covers in depth each of these topics. 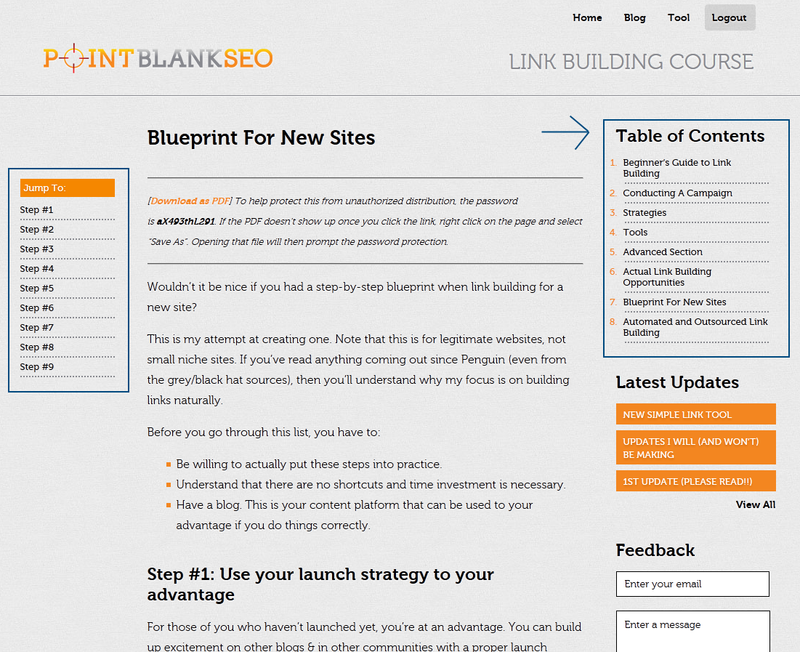 The screenshot is from the “Blueprint for New Sites”. I REALLY love the advice he offers for those with newer sites and how to take advantage of a launch strategy. 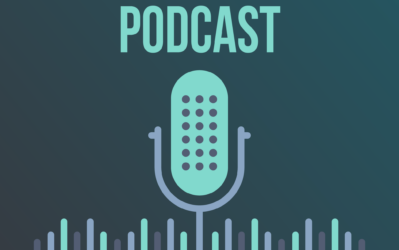 Some of the points for launching a site that Jon makes are these: guest blog to build excitement, excessive amounts of outbound links in your first few posts, spend alot of time on your first few posts. He also gives some very specific recommendations on how to build buzz around your new (or even old) blog: Connect with bloggers & influencers with no intention of obtaining links (worked well for me with Pat Flynn as mentioned above, and MANY others), conduct interviews, conduct a contest or giveaway, create a crowdsourced piece (wondering how to do that? Jon gives some examples), and MANY more. That's just the suggestions for launching a new blog. If you have an existing site, you can certainly use a lot of those, but he also teaches how to conduct a link building campaign. This includes researching the links that your competitors have, using Google to find specific sites that are willing to link to you, how to contact influencers (including email templates and LOTS of examples). The course itself has 8 sections. Within each section are several topics, tactics, and real life examples. Its a meaty course, that is worth referencing over and over again. Who is Point Blank SEO For? Overall, I HIGHLY recommend the Point Blank SEO Course if you are looking for ways to legitimately get links to your authority sites. To be clear, this is not a course about using black hat techniques to get links; this is all about developing strategies and tactics to get real links from real websites. So, if you own a blog, have a company website, or even an eCommerce site, I really think this course will provide value to you. If I were to spend days writing down all the link building tactics that I know about or have used, I still wouldn't have come up with all the quality details that Jon has in his course. Again, my focus has always been on keyword research and competitor analysis – I can hold my own with anyone in that area. But for link building, I think Jon has me beat! You can pick up your copy of Point Blank SEO Right Here! Yes, I am an affiliate for this course, and will make a commission if you purchase it. I only recommend it because its one that I have gone through myself and have found highly valuable. Do you absolutely need a link building course? No, of course not. But if you've struggled to generate buzz around your new site or need new ways to build links to your site, this is the course I recommend. Overall, this course is a pretty small investment for the value it provides, check out the course here. In addition to just recommending the Point Blank SEO, I've also included some specific tactics that have worked well for me and others in this post. Hopefully you found some value in learning those methods, even if you don't decide to buy anything today. As always, I look forward to hearing your questions or feedback in the comments below. 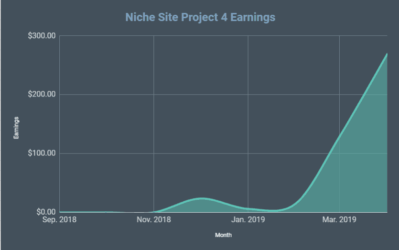 Say Hello to My New Full-time Niche Site Builder! The only thing I have an issue with or am not sure about, is how do I build relationships that will benefit my 5-10 niche sites. 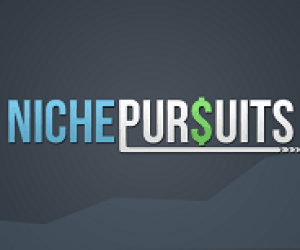 You are are called Niche Pursuits, that’s what inspired me to get started with Niche sites. Most niche site builders don’t advertise what we do. It is getting harder and harder to build crappy links let alone good ones. And I know that you are in the USA, I am in England, so the marketing community here is one tenth of yours. Unless you have a Niche authority site, relationships are almost impossible. still enjoyed the post though. Hi Eddy! Just wanted to jump in here and say my course is not about focused on relationships. Sure, it’s a part, but there’s stuff in there that can benefit niche site owners. For example, one of the sections is called Actual Link Building Opportunities. It’s a spreadsheet of a ton of different sites you can go RIGHT NOW and get a link from. But I agree, relationships for niche sites just doesn’t work. Sure, you can try, but IMO the ROI just isn’t there. Yes, its easier to build relationships if you have a good site. However, I don’t think location has anything to do with it. I could have been anywhere in the world and still emailed Pat to start a relationship. Going to pick this up right now. My site is pretty much stuck at spots 10 – 15 for a few keywords and I need to find the motivation to make that last big push to the first page for my money keywords. Hopefully this helps me out. I refer to the point blank mega linkbuilding list all the time – so I don’t mind spending the money. I’ve already made it back before even buying the course. Yes, Jon has provided lots of value; its worth picking up. Are you omitting or almost omitting in your backlink strategy the creation of spun articles? Also, have you heard of J. Leger’s Article Builder and wondering what you think of it? He has a deal for a one time fee for life and not sure if I’m going to do it if spinning is becoming a thing of the past? I don’t use spun content as much as I used to. Some people do. It would come in more handy as secondary links (links to your links). I’ve used Jon Legers Article Builder quite a bit. You can pick it up here: https://www.nichepursuits.com/articlebuilder . 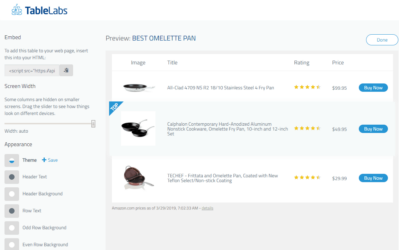 Its a good product if you decide to use spun content as part of your strategy. This is an important post and SEO really is more simplified than it has been with the arbitrary tags and so on, because in the end Google’s best interest is to serve sites in the top 10 of the SERP’s that give people the best experience. This makes visitors happy, and keep using their Search Engine, and keeps Google in business. I think where people will have the edge is if they are not just attempting to build an “authority” site, but have a passion for a topic, write epic content, and give an overall great experience which can include good design and variety of sub topics that interest the visitors. People tend to forget that Google’s attempts in adjusting their Alogorythm is to rank sites that would most interest visitors searching for something specific. 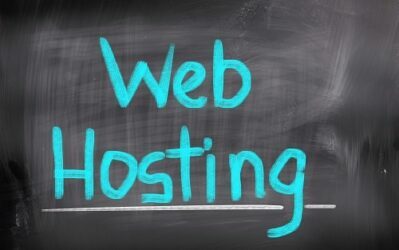 This is good for webmasters as well, for if we do this we will be running a real business that provides value to are visitors/customers. This will also give us more opportunity to get traffic from other sources and build our business to the next level. Social and viral marketing is a big factor and people will only share and like content most of the time if it is great or exceptional. People that create smaller niche sites which they are really not an authority in or don’t have a passion for — probably won’t get the SEO love, no matter how good they may think the content or they’re SEO is. If they do, it will probably be short-lived until the next Algorythm release. Spencer I definitely agree…the links that naturally come from relationships are far more important than just a random link. The importance of natural links goes WELL beyond just the SEO benefit, if someone comes to your site after being refereed from someone they already know/like/trust they are way more likely to know/like/trust you! Case in point – you – I discovered your site via the link from Pat Flynn and have been reading your stuff ever since. I like how you email Pat. Iam also a fan of Pat Flynn. You email him cause you wanted to help him with noting in return… the outcome is more that money could buy..
That’s great Spencer! Just what I was looking for. Now if i can just some how find the funds to purchase that AND your long tail pro… You see I don’t want to spend personal money on my online business, I would like to see if i can have my business fund itself. Frankly speaking, SEO makes me having a headache since to many tips about this subject. Having read your article above then I believe that relationship is more important. Spencer, so if you’re really more on natural links does that mean your not using some of the back linking tools that you have in the past? IE ADR, MAN, AMR etc? And if you still are IE for back links to your back links do you have a post on that as of recently? That’s correct. I am not using automated tools AS MUCH any more. Sounds like a great Course. I’ll pick up a copy within the month. I need to start a solid link building strategy for my new blog. Thanks for sharing your thoughts and opinions of PointBlankSEO. It’s so refreshing to finally hear about a product that teaches White Hat SEO strategies.. All natural! Some good ideas in this post. I’ve begun to foster relationships with people in my niche. It’s absolutely a better thing to get you noticed than just buying Fiverr gigs or cheap articles! Thoughts on building no links? Thanks for the tips. They help a lot. Appreciate it. Penguin really hit my sites hard, so since then I’ve been doing my best to focus on building natural links. I’ve learned the hard way what happens when you don’t. I’ve been following your website for a few weeks since I’m building niche sites myself. I haven’t read all your posts – just the survivor knife post and other posts related to it. 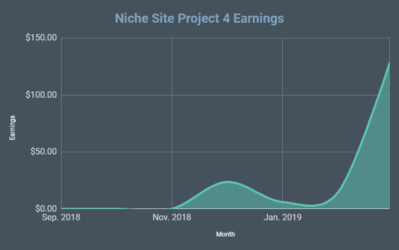 I’m curious in the “building a relationship” part of the link building process for niche sites, I think it is a bit awkward (at least for me) to email fellow site owners in the same niche because you are competing with them. I doubt that they’ll give you a link if you are a competitor but if you can buy links from them that would be feasible but not exactly white hat.